Cold-pressed from the fruit pulp of the avocado. Avocado oil is a medium weight oil that penetrates deep into the skin. It has an exceptionally high nutritional content, including vitamins A, B1, B2, D, E and beta carotene. As a result , it is very nourishing for the skin and hair. Its high oleic acid content makes it great for soothing irritated skin (e.g. chapped, sunburned). The ease with which avocado oil is absorbed makes it a great addition to both skin and hair products. However, avocado oil can leave a sticky or waxy feeling when used by itself, so it is commonly blended with other oils. The greenish tint of avocado oil comes from the small amount of chlorophyll that it contains. 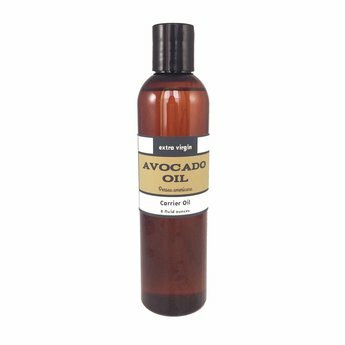 Avocado Carrier Oil is slow to go rancid; users can expect a shelf life of 2 years with proper storage conditions (cool, out of direct sunlight). Refrigeration after opening is recommended.